UPDATED: Tue., Feb. 5, 2019, 6:06 p.m.
Jacob Davison had the game of his life Monday. And Tuesday, the Eastern Washington sophomore guard was named the Big Sky Conference Player of the Week. Davison scored a career-high 41 points in an 82-64 home win over Northern Arizona, two days after scoring 21 in an 82-79 win over Southern Utah. Davison has averaged 26 points the past five games for EWU (8-13, 6-4 Big Sky), which has won five of its past six games. The surging Eagles begin the second half of conference play Thursday when they travel to Montana State (9-12, 6-5). On Saturday, the Eagles face rival Montana (15-6, 8-2) in Missoula. 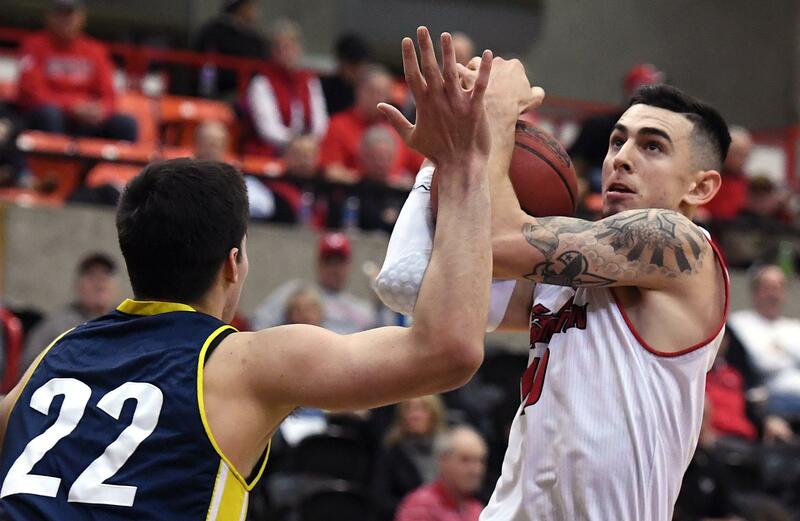 EWU beat both teams in Cheney last month, upsetting first-place Montana 78-71 before edging MSU 85-81. Published: Feb. 5, 2019, 4:27 p.m. Updated: Feb. 5, 2019, 6:06 p.m.